Despite the Sun will be showing at Tate Liverpool’s exhibition ‘Keywords: Art, Culture and Society in 1980’s Britain’, which is running from 28th February until 11th May 2014. The film investigates the state of the media and the context in which over 5,000 print workers, clerical staff, cleaners and secretaries lost their jobs. 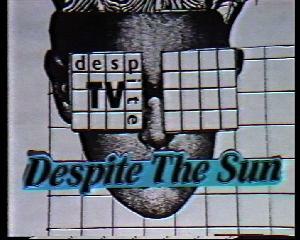 It was produced in 1986 by Despite TV, predecessor to Spectacle, both founded by Mark Saunders, documenting the dispute over Rupert Murdoch’s decision to relocate his printing operations from Fleet St to Wapping. There is also a new website dedicated to the strike where there is a lot of information. Murdoch’s influence on the police and politicians having being thwarted here in the UK, he now seems to be having a go at the kids in the US. 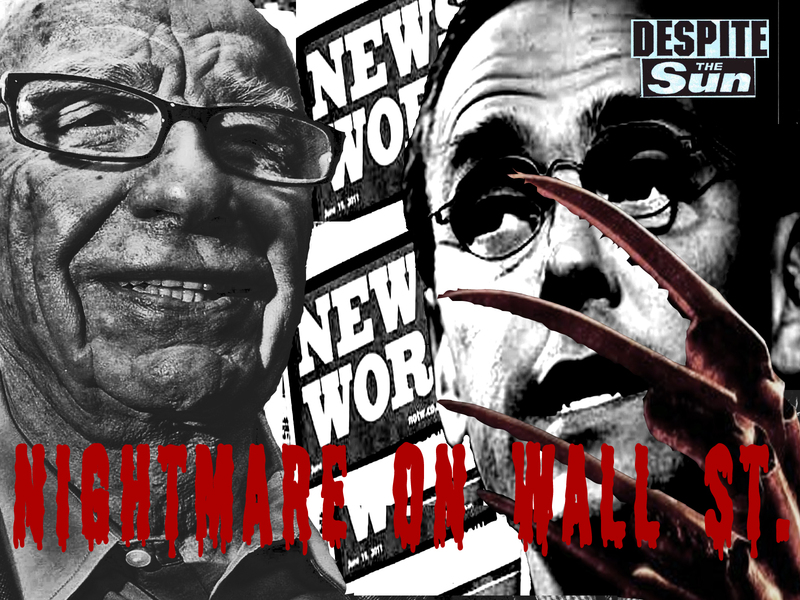 This week saw the release of Dial M for Murdoch: News Corporation and the Corporation of Britain, written jointly by Labour MP Tom Watson and The Independent’s Martin Hickman. 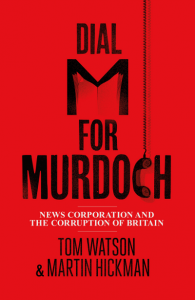 The book was launched this morning at a press conference in which Watson called the Murdoch empire a “toxic institution that has operated in Britain like a shadow state”. Predicted to be the “one of the most attacked books this year”, the title and publication date were kept a complete secret until Monday. 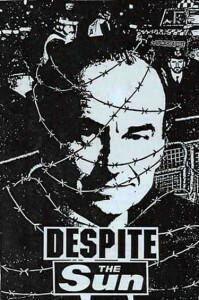 Published by Penguin, the book is on sale for £20. 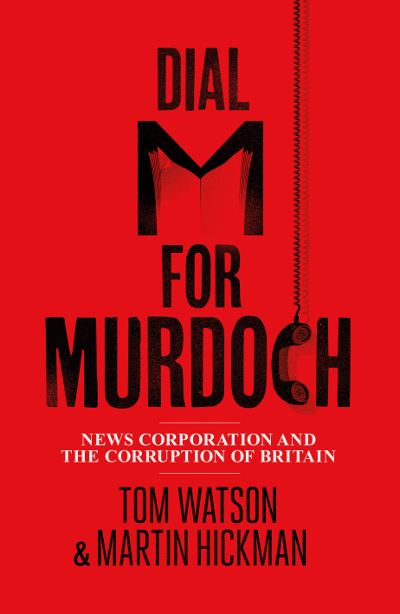 Reviews say that the book gives a detailed and researched account of the phone hacking scandal just in time for Murdoch’s appearance at the Leveson inquiry next week. 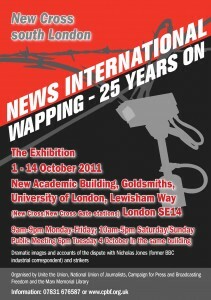 The News International Wapping dispute exhibition finishes its run in Liverpool today and moves to Goldsmiths College in south east London in October. 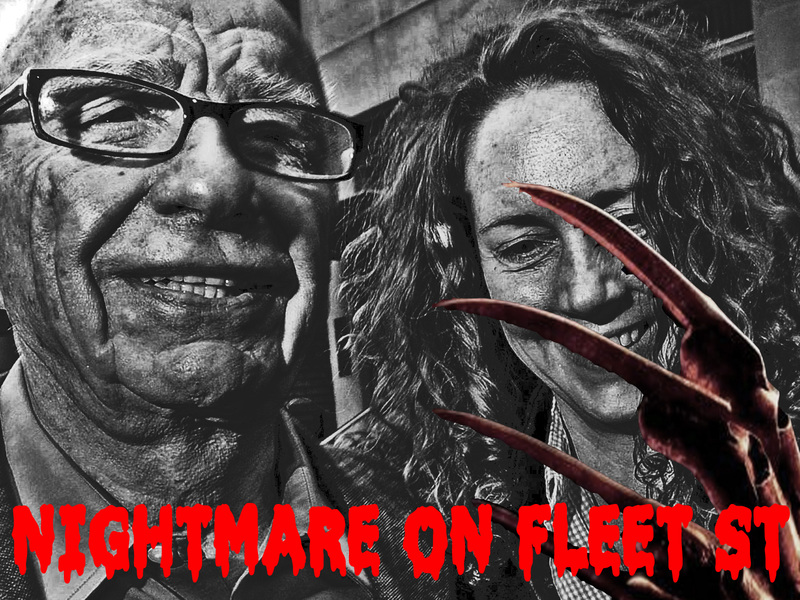 The bitter 1986 dispute between Rupert Murdoch and the print unions started when over 5,000 production and clerical workers were sacked overnight. 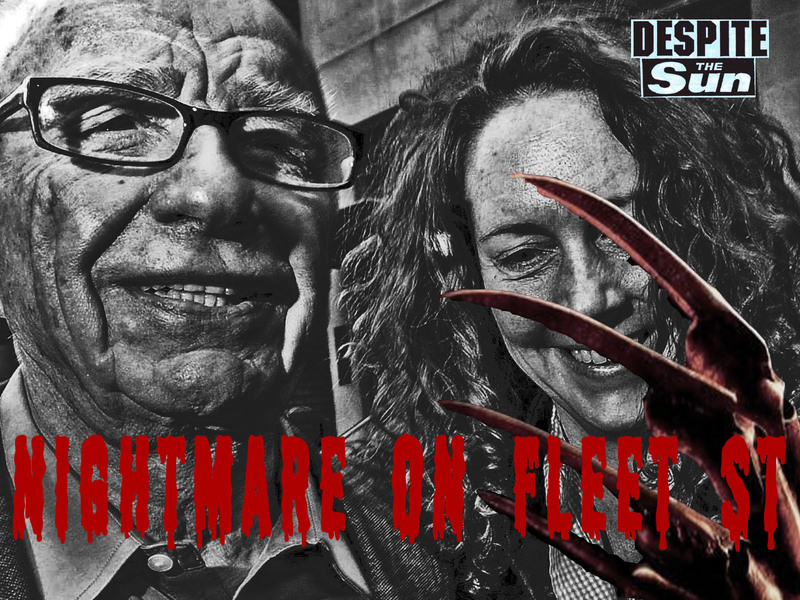 None of the journalists were sacked but more than 100 of them – the “refuseniks” – took a stand on principle and walked out of their jobs. 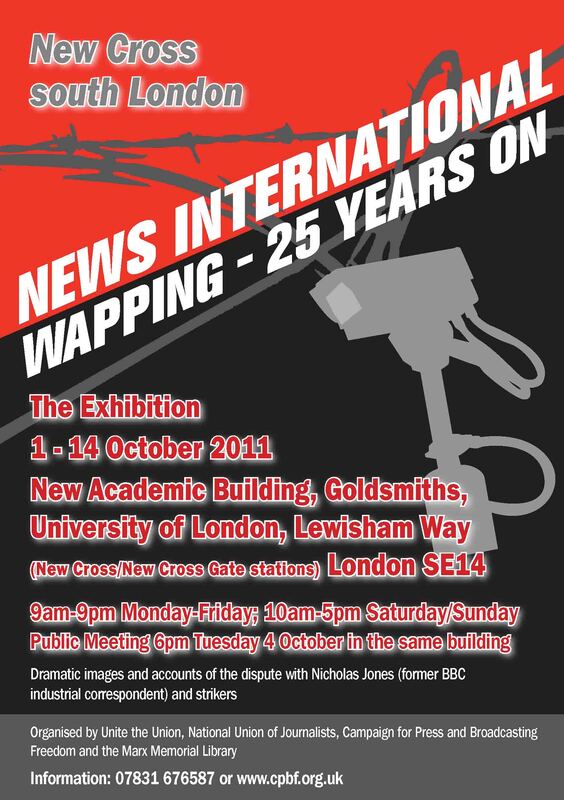 The exhibition starts on 1 October with a public launch on Tuesday 4 October at 6pm featuring speakers who were directly involved in the dispute. Further details can be found on Goldsmith’s website or for the Guardian’s Jon Henley’s article on the exhibition, click here.